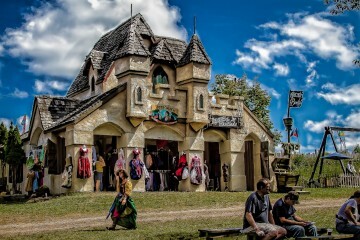 Courtesy Pittsburgh Renaissance Festival Facebook page. 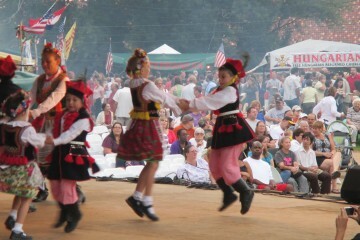 Where can you attend a “men in kilts competition,” watch thrilling jousting battles between chivalrous knights and brave steeds, and enjoy performances by a medieval-style German rap duo —all in the lush Western Pennsylvania landscape? Check out the multi-sensory showcase of all things Renaissance — from culture and cuisine, to recreation and politics. 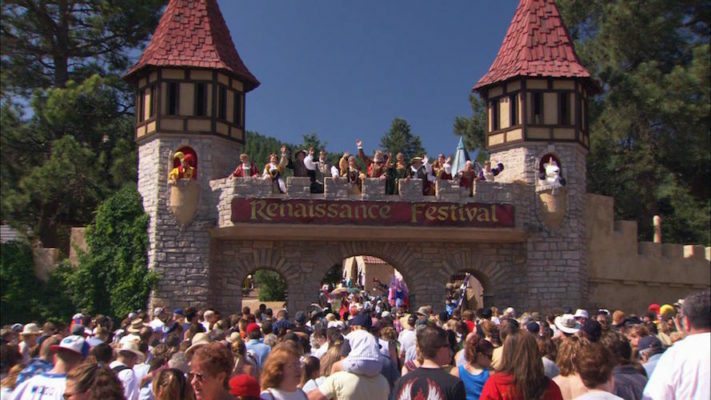 Your one-stop shop for experiencing the history-altering period spanning the 14th to the 17th century, the Pittsburgh Renaissance Festival features themed weekends like Celtic Fling, Wine Revelry, Pirate Invasion and Oktoberfest. Families will love Children’s Weekend—which is free to wee lads and lasses 12 and under—taking place September 2-4. Don your fanciful threads for prince, princess and pirate costume contests, snap a selfie with the king and queen and enjoy exhilarating medieval rides and games of skill. Join a crew of singing, dancing swashbucklers as you help the Crimson Pirates perform a madcap, interactive stage show. You can also shop in the artisans marketplace, meet Juniper the fairy and get hypnotized by Lady Amyelia. Buy tickets and view a schedule and map.